…and with my 5th Ironman completed, I find myself circling back to those posts last November, as I adjusted my focus away from training, and onto the relentless struggle to get ‘calories in’ under control…without the huge ‘calories out’ exercise burn every week. 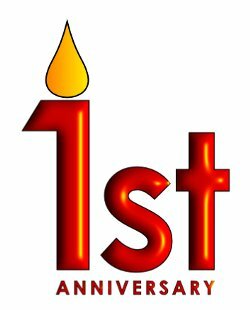 For those interested in the numbers side of things on our anniversary date, for the 31 days last month (October 2011) 5,031 ‘distinct hosts’ were served by our blog site, and they looked at 40,511 pages…this means individual, distinct computers (5,031 visitors in ‘lay’ terms) that logged onto the site 1 or more times (so they weren’t counted again if they logged on more than once in the month…sort of typically seeing 4-500 unique visitors per day)…the numbers in ( ) are for the last day/last week of the month depending on the item. This entry was posted in Dad's Blog Posts, Ironman Florida, Planning, Recovery and tagged ironman blog. Bookmark the permalink. I’ve eaten a whopping 3,350 extra calories this week. I did bike once and go for an 8 mile jog, but I need to pull myself together, or I’m going to be a chubby lady. Eating is too much darned fun!